The field received the operational permit in the autumn of 2003. 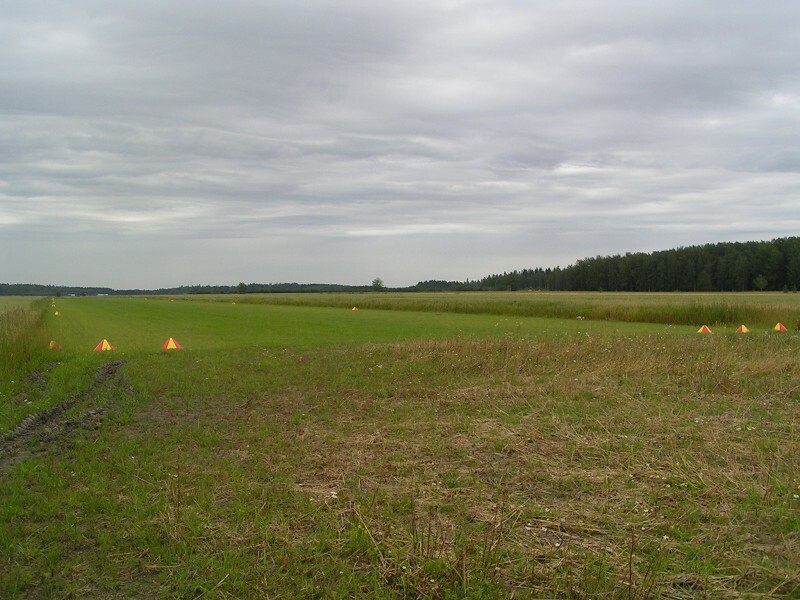 The grass-surfaced field lies 5,5 km to the northeast of Nurmijärvi parish village. 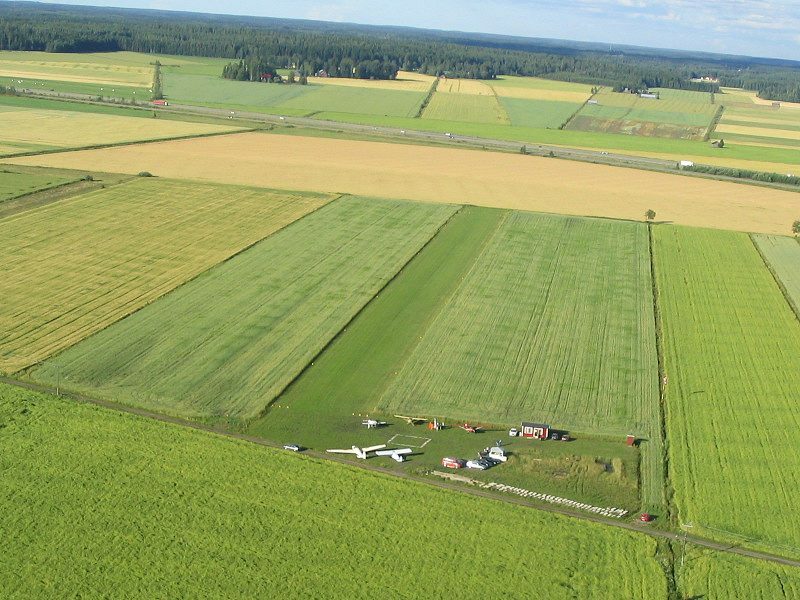 The field is classified as PRIVATE, and every aircraft planning to visit the field must have permission of the field owner. Classification was adapted because the environmental permit limits the number of daily and yearly operations. The field comprises three buildings: a 450 sq meters hangar, a dry toilet (domestic terminal), and a flight planning building (international terminal). 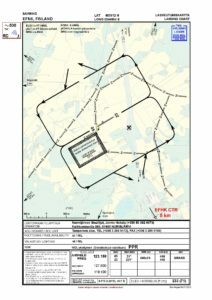 To the right of the end of runway 05 there is a restricted area (sheep farm) registered in the environmental permit. Field over fliers are asked to avoid this area, because flights over this area are registered as flights of of those permitted to operate on the field. 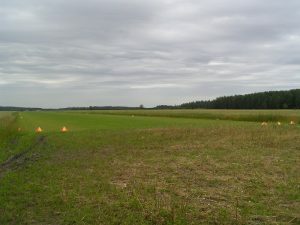 There are no obstacles along the edges of the runway, because the field is located in the middle of an agricultural field. The nearest obstacles are the vehicles using a road 400 m from the threshold. The firmness of the grass field is heavily dependent on the weather and the time of the year. Normally the field is usable 2-3 weeks from the melting of ground frost until there is snow. The grass surface of the apron renewed in the summer of 2008.
highway. Ostrich farm/summer café/tourist accommodation 3 km from the field. Airport chief: Jarmo Hakala: +358 50 392 6873. 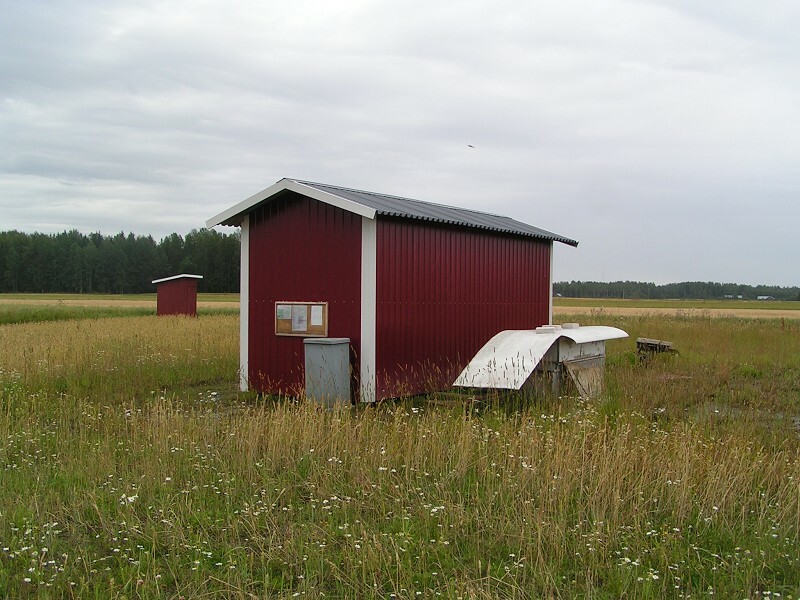 Airport address: Keikkumäentie 393, 01900 Nurmijärvi. Taxi +358 9 700 900. EFNS Visual Approach and Landing Video. Watch full screen and keep close captions on. 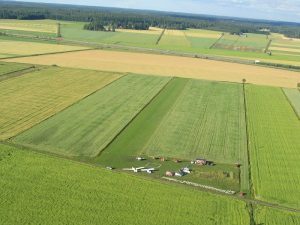 Savikko airfield from the air during Muurinpohjalettu FLY-IN in 28.7.2005. Photo Jarmo Hakala. Savikko runway 15.8.2004. Photo Martti Kujansuu. International Terminal (pre-flight building) and the domestic terminal (dry toilet). Photo Martti Kujansuu.